Our great ministry would not be experiencing its growth and increase in effectiveness without the support and encouragement of our GIMI Board of Directors. They are fine men and women who encourage and support us. They also hold us accountable for being good stewards of all the financial gifts that come through Gateway International Missions. They are dear servants of God who volunteer their time and resources to help this ministry share the Gospel with the world. Please pray for these dedicated friends. #1 - YOU ARE LOST IN SIN. #3 - YOU CANNOT SAVE YOURSELF. #4 - GOD LOVES YOU AS A SINNER. 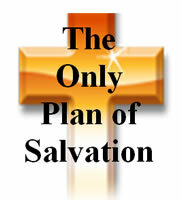 #5 - CHRIST IS YOUR ONLY HOPE OF SALVATION. #6 - YOU MUST BE BORN SPIRITUALLY. #7 - YOU MUST REPENT OF SIN AND BELIEVE. #8 - TODAY IS THE DAY FOR YOU TO BE SAVED. YOU HAVE ACCEPTED CHRIST AS YOUR SAVIOR! Click to download the Salvation Tract. or to give to friends. Pastor Stan Frye was born October 28, 1947 in Taylorsville, NC. He has been happily married to JoAnne Frye, his high school sweetheart, for over 50 years. They have two children, Rebecca and Joel, as well as six grandchildren. All of his family are faithfully serving the Lord Jesus in ministry. In addition to pastoring several churches, preaching over 1,000 revival meetings, and spending eleven years as a full-time evangelist, Dr. Stan has faithfully worked throughout Africa for more than 30 years. In 1999, Dr. Stan formed Gateway International Missions which has grown to include prison ministry, church planting, and ministering to the poor in more than eight African nations. Throughout these years, the blessing of God has been on this ministry as literally hundreds of thousands of people throughout Africa have come to know Jesus as Savior. Pastor Stan Frye was born October 28, 1947 in Taylorsville, NC, the third child of Earl L Frye and Irene B Frye. Both parents are now deceased. Pastor Frye attended elementary and high school in the Taylorsville, NC area. He has been very happily married to JoAnne Frye, his high school sweetheart, for 50 years. They have two children, Rebecca and Joel. Rebecca and her husband, Michael McKinney, have twin daughters, Anna and Rachel, and twin sons Andrew and Matthew. They live in Taylorsville, NC and are actively serving Jesus in the ministry. Rebecca assists Mike in his position as Student Pastor for Gateway International Baptist Church. Joel and his wife, Tricia, have one daughter, Abigail, and a son, Joshua. Joel is the Senior Pastor of Oxford Baptist Church, Conover, NC. Pastor Frye was saved at the age of nine in Smyrna Baptist Church, Taylorsville, NC and surrendered to the call to preach the gospel on February 10, 1966. He is a graduate of Fruitland Baptist Bible Institute, Hendersonville, NC, holds a Master's Degree from the Luther Rice Seminary, Lithonia, GA, and a Doctor of Ministry Degree from the Southern Baptist School of Biblical Studies of Jacksonville FL. Pastor Frye has also done some post-graduate work at the Liberty Baptist Seminary in Lynchburg, VA. Brother Frye has spent over 50 years sharing the gospel of Jesus Christ through his preaching and teaching ministry. For over 38 years he has pastored churches of all sizes from 20 people to over 2300 in regular attendance. He has also spent fifteen years in full-time evangelism and mission work. His preaching and teaching ministry has included over 800 revival meetings, crusades, Bible conferences, Family life seminars and church growth conferences throughout the United States. He has also conducted numerous evangelistic crusades here in America and in the foreign countries of Kenya, Uganda, Burundi, Rwanda, Togo, the Ukraine, and the Philippines. 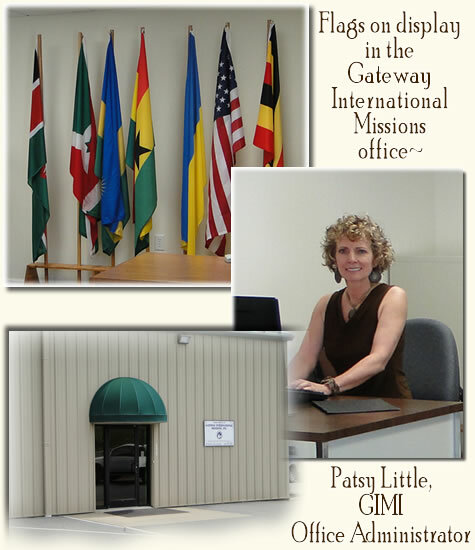 In his International mission work, Dr Frye now serves as the president of Gateway International Missions, Inc. Through his many years of evangelism and mission work, literally thousands of people have come to know Jesus Christ. In September of 1989, Dr Frye became the pastor of Tri-City Baptist Church, Conover, NC. During the next seven and one half yrs, Tri-City Baptist Church grew from 42 to 2000 people in membership. Through the dynamic ministry of Tri-City Baptist over 1300 people came to know Jesus Christ. It is now one of the strongest Baptist Churches in the state of North Carolina. Pastor Stan Frye loves Jesus with all his heart. His supreme desire is to honor Christ with everything he does. He has a tremendous burden for lost souls and carries a broken heart for revival in America. During his 50 years in the ministry, he has experienced many trials and difficulties which have given him a genuine love for the troubled churches, hurting pastors, and staff members. He has a compassionate desire to encourage pastors and staff members. He has committed himself to edifying the local church wherever it exists, whether here in the U.S.A. or in other foreign countries. We believe in one God, Creator and Lord of the Universe, the co-eternal Trinity: Father, Son and Holy Spirit. We believe that Jesus Christ, God's Son, was conceived by the Holy Spirit, born of the Virgin Mary, lived a sinless life, died a substitutionary atoning death on the cross, rose bodily from the dead, and ascended to heaven where, as truly God and truly man, He is the only, mediator between God and man. We believe that the Bible is God's authoritative and inspired Word. It is without error in all its teachings, including creation, history, its own origins, and salvation. Christians must submit to Its divine authority, both individually and corporately, in all matters of belief and conduct which is demonstrated by true righteous living. We believe in one holy, universal and apostolic Church. Its calling is to worship God and witness concerning its head, Jesus Christ, preaching the Gospel among all nations and demonstrating its commitment by compassionate service to the needs of human beings and promoting righteousness and justice. We believe in the necessity of the work of the Holy Spirit for the individual's new birth and growth to maturity and for the Church's constant renewal in truth, wisdom, faith, holiness, love, power, and mission. We believe that Jesus Christ will personally and visibly return in glory to raise the dead and bring salvation and judgment to completion. God will fully manifest His Kingdom when He establishes a new heaven and new earth in which He will be glorified forever and exclude all evil suffering and death. Believing that it is both the privilege and responsibility of each individual believer and local church to share the Good News of salvation through Jesus Christ with the entire world, we endeavor to make disciples in every nation wherever God may lead. Our priority shall always be the proclamation of salvation by grace as the only answer to life’s greatest need – a spiritual transformation of the heart. Furthermore, we pledge to always maintain a genuine burden for meeting the physical, mental, and emotional needs of those God entrusts to us through a balanced approach of educational training, medical assistance, and the provision of humanitarian aid.